Poker tournament tips is, apparently, a pretty common search term on Google. I assume the searchers are looking for a quick checklist to go over before playing a tournament, and not advice on how much to tip the dealers after a big win. When I searched “poker tournament tips” for myself, none of the results were particularly fruitful, with most info being wrong or outdated. So, I decided to try to tackle this subject by myself and create the ultimate list of 7 poker tournament strategy tips for players of all skill levels. This phrase drove the pre-flop strategy of almost every tournament regular for years, and it still has some merit. There is 2,400 in the pot from blinds and antes and Gary is risking 2,200 to take it down. That means Gary’s open only has to work 47.8% of the time to make an immediate profit. Unless the blinds are aggressive, there’s a reasonable chance they aren’t collectively playing back with 52.2% of hands. It varies wildly from table to table, but you can generally expect the small blind to play back with around 10-15% of hands (usually by 3-betting), which leaves the remaining 40% on the BB’s shoulders. If the big blind is tight enough to be folding hands like Q-5s or K-7o to your opens, raising 7-2o would show an immediate profit. Heck, raising with two napkins you picked up on the floor would show an immediate profit. In early and middle position most hands are easy decisions between opening and folding – every halfway competent players will open A-Q in every position and fold 7-5o without hesitating. It’s when there are only few opponents left to pass when you generally really want to widen your opening range, and in these spots it’s essential to have a good idea of how the math works and what types of hands you’re expecting your opponents to call with. I’d advise you to all but completely ignore opening charts when it comes to late position, and instead focus on your opponents. Against some blinds it’s correct to open any two on the button, against others you want to be tight and only open hands that are somewhat playable. In Gary’s hand above, there is 4,600 in the pot (2,400 from blinds and antes, and Gary’s 2,200 open) and the big blind needs to call 1,200 more to see the flop. This works out to 20.6% equity needed to call. That’s very little. Even 7-2 offsuit has more than that against a standard button range (it has 29.45%). Does this mean we should call with every hand when our pot odds are this good? No, definitely not. If there was no such thing as post-flop, yes we would defend every hand with raw equity higher than our given price. But raw equity isn’t a number we can rely on because in order to realize our equity, we need to reach showdown. Since there are effectively unlimited post-flop scenarios and board runouts, it’s near-impossible to construct a perfect defending range. But we don’t need to be exactly perfect. An estimate will do just fine. In most cases, this means defending (by 3-betting or calling) at least 40% of hands against late position opens. If you’re a strong player, or if the opener is a weak player, you’ll be better off defending way more. On the extreme end, Doug Polk has been known to defend 100% of hands from the big blind in tournaments. I wrote a long article about this topic (see: The Ultimate Guide to Big Blind Defense), which I strongly recommend you read if you want to learn more about the proper big blind defense strategy in tournaments. (Spoiler alert: It involves a lot of flatting). If playing this wide of a range makes you uncomfortable, there’s no shame in defending a little less often until you are. But at least make sure to never fold a hand like 8-6 suited or Q-T offsuit to a single open. I personally flat almost any two cards against weak opponents, and not even an open from Fedor Holz could get me to fold Q-7o or 3-2s. …but on the other hand, it’s harder to realize your equity with multiple players in the pot. In a heads-up pot, hitting one pair will often win you the pot. Getting a flop of 8-6-2 with K-6 against a button open is basically a monster. But imagine that same situation with K-6o in a 4-way pot – it becomes debatable if you can even call a c-bet. Despite the improved pot odds of multi-way pots, you need to be more picky about your defending hands by choosing ones that play well in multi-way pots. You should still be calling with basically any suited hand as well as hands like J-T offsuit. But you should stay away from hands that don’t flop well, like Q-7 offsuit. These hands often end up as weak pairs with little chance of reaching showdown (not what you want in multi-way pots). The correct approach to 3-bet bluffing non-all-in varies based on stack size, so I’ve divided it between tips 3 and 4. Good 3-bets in this spot include hands like K♠9♠, K♦J♠ and A♦7♦. These have great blockers (making it less likely that your opponent has a hand that can continue), and flatting them might be a bit on the loose side. If you end up being forced to fold to a 4-bet with a hand like K♠9♠ here, it’s no big deal. But if you are forced to fold a hand like K♥Q♥, that’s boatloads of equity hitting the muck. Against fishy players, specifically ones that call a lot and rarely 4-bet, hands like K♥Q♥ make great 3-bets. If they’re going to continue with silly hands, but never 4-bet without a monster, we can 3-bet for value with little fear of being blown off of our equity. So, in a nutshell: Choose blocker hands just below your calling range as 3-bet bluffs against good and aggressive players. 3-bet a more value-heavy range against passive fish. Things change quite dramatically as stacks get closer to 100 big blinds, and the correct approach to 3-betting resembles that of a cash game. …but when you 3-bet the same hand 100 big blinds deep and bets start flying in on a J-high flop, you are very likely in a world of trouble against K-J or better. Because of all this, you want to 3-bet with a polarized range, and remove hands like Q-Jo, A-To, etc from your 3-betting range with a large stack-to-pot ratio. These are never hands that want to play for stacks on virtually any flop. Against fishy players, it is sometimes better to 3-bet with a linear range– more thin value bets and less bluffs. Against a fish 100 BBs deep, you don’t even have to differentiate your hands between bluff and value 3-bets. Instead, just try to get into a lot of pots in position against the fish, 3-betting shamelessly with hands that have good playability, like J-Ts, 8-7s, Q-9s and so on. Drop the weaker hands like 5-3s and Q-Jo from your range altogether. To summarize; with super-deep stacks you want to have a somewhat linear, high card-heavy 3-betting range against fish, and a polarized 3-betting range against regulars. Note: You want to final table and win more tournaments, right? Take your poker game to the highest level, satisfaction guaranteed, by diving into Nick Petrangelo’s Winning Poker Tournaments course. Learn more now! A few years ago, players put a lot less thought into which boards connect with which player’s range. You’d c-bet pretty much every flop, because a half-pot c-bet has to work only 33.3% of the time to return a profit. Players nowadays are much more aware of how things work, and check-raise bluffing has become both more common and more nuanced. People don’t blindly try to bluff in terrible spots anymore, but are capable of giving some thought to what they’re representing. A typical MTT player’s train of thought here will usually be related to their actual holding. If they have aces, they probably think “I need to protect my overpair and get some value, so I’ll just bet”. If they have A-K, they either give up or decide to fire once, because it’s cheap, with plans to give up. Q1: Whose range does the flop hit the best? A: The big blind. You have overpairs and he (mostly) doesn’t, but you have infinite overcard combinations that have missed and very few top pairs, middle pairs and so on. The big blind has a piece with the vast majority of his flatting range, and overall has a range advantage. Q2: Who has the most nutted hands on this board? A: Your opponent. You both have the same amount of sets, but he has all the straights and two pairs whereas you have none of them. An overpair isn’t really a nutted hand here, since you’re not going to want to stack off with A-A for 14.7k more into a 650 pot. Q3: What does my range look like to my opponents? A: It’s pretty clear-cut here, as your range is basically pocket pairs and high card combinations (suited broadways, A-Ts+, A-Jo+, etc). Q4: What does my opponent’s range look like? A: This the toughest question to answer if we have no reads, because some people still defend their big blind way too infrequently. But it’s fair to assume that he’ll have a huge amount of hands that are of the one pair + gutshot variety, heaps of top pairs, and fewer hands that have completely whiffed than we do. Based on our answers, we can conclude a couple notable things. The big blind has all the nutted combinations and we don’t, which leaves us vulnerable to check-raise and barrels from our opponent. A clever player will realize this, and punish our c-bets by check-raising with a variety of hands. 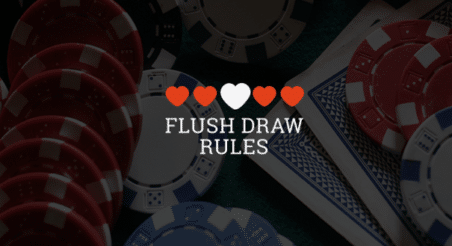 Thus, we should consider checking back a fair few strong(ish) hands that we don’t want to create a massive pot with, but that can usually call a turn and river bet. The vast majority of the big blind’s range will call off at least one bet. Thus, it’s a really bad idea to c-bet our air once and give up (which is so 2011 anyway). We should simply check back some hands that have missed, choosing to bluff with hands that can fire multiple barrels on a variety of runouts, such as Q♦J♦. Since we’re also regularly checking back medium strength hands, like T♦9♦ or 9♠8♠ , our check back range is protected and our opponent can’t punish us by over-bluffing the turn. We have come up with a valid strategy without doing any specific range work. No software needed! Once you’ve trained yourself to do this every time you see a flop, it will only take a second or two to come up with a game plan. Of course, it’s also a good idea to fine-tune your game between sessions by playing around with sims and range software. But just doing the above over and over will be enough to solve most practical situations in real time. This goes hand in hand with tip #5. Before any decision pre-flop, on the flop or on the turn, you should always have a rough plan for each likely outcome. Again, this doesn’t mean that you’d have to simulate every single possible outcome ahead of time. That’s impractical. Just a rough idea will more than suffice in game. What will I do if my opponent raises? What turn cards will I barrel? By asking yourself these two questions, you’re planning one step ahead which will help you avoid tricky spots. Q1: What will I do if my opponent raises? A: I’ll fold, unless my opponent raises small enough that I can profitably continue. This is not a flop texture I would c-bet often because it hits my opponent better than it hits me. But this is a hand that I chose to put in my (semi)bluffing range, and it’s an inherent part of poker to have to bet-fold sometimes – it’s just important that I choose a sensible hand to do it with. Q2: What turn cards will I barrel? A: I’ll barrel every heart, ace or king as a semi-bluff, and naturally every 9, jack and a queen for value. I’ll take a free card on total bricks, knowing that my opponent still won’t fold a hand like 9-8, and that I still have quite a few outs to hit on the river. Heads-up play isn’t something that I can teach you within the framework of this article, but I feel obliged to give you some food for thought. After all, it’s how to win big poker tournaments. 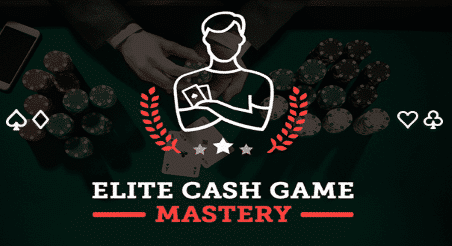 In a typical $20 buy-in, $10k guaranteed online tournament, the winner will get approximately $2,500 and the runner-up will be left with $1,500. That’s a 50 buy-in swing between first and second place! It may seem moot to practice heads-up, since it’s so rare to get heads-up in a tournament, and once you’re there you’re already halfway satisfied because you’re guaranteed such a big score. However, if you stand no chance of actually winning the first place money, it’s close to impossible to be a long-term winner. That one heads-up battle you get into every few hundred tournaments will often decide your entire monthly score – the bigger the field is, the more buy-ins there will be at stake. You need to be certain that when you eventually do get heads-up in a tournament, you’ll usually be the better player. I can’t stress this point enough. Also, studying and practicing heads-up will sharpen your post-flop skills as you become accustomed to playing with wide ranges. Learning to play well with wide ranges will come in handy in all kinds of other tournament situations as well, such as playing the big blind against late position opens. I’d recommend both studying heads-up and practicing it at stakes low enough so that the money doesn’t really matter to you, so that you can focus entirely on making the best plays. If you have any questions about these poker tournament tips (or anything else), feel free to ask me in the comments below or on Twitter @chuckbasspoker. You can find more valuable poker tips here.